I am picturing it all now... The busy holiday season is quickly approaching on the not so distant horizon. I see lots of holiday cookie baking, and gift wrapping, and online shopping in my near future. I see lots of wonderful memories about to be made. Cozy evenings snuggled up on the couch with my family and a warm mug of cocoa watching the twinkling of the lights of the Christmas tree. But I am also seeing lots of extra calories and fat grams and not enough time for a good workout (ahem... time to #drinkTEN ). And a some stressful, frazzled evenings. And moments when all I want to do is hide in a distant room of the house and catch my breath for a moment... alone. Before the hustle and bustle and wonderful craziness of the season are upon us, I decided to come up with a perfect little dessert for one that can be made in minutes, is low calorie and low fat (less guilt! 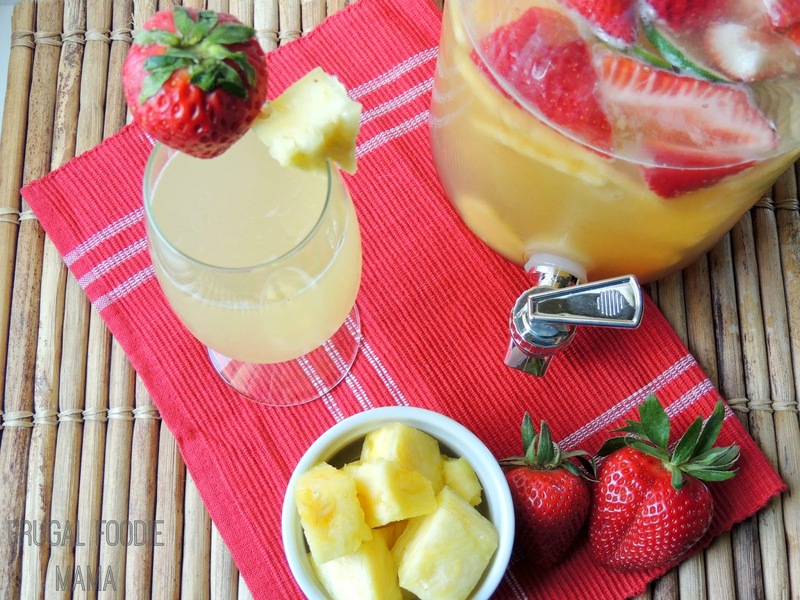 ), and has some of my favorite flavors of the season. 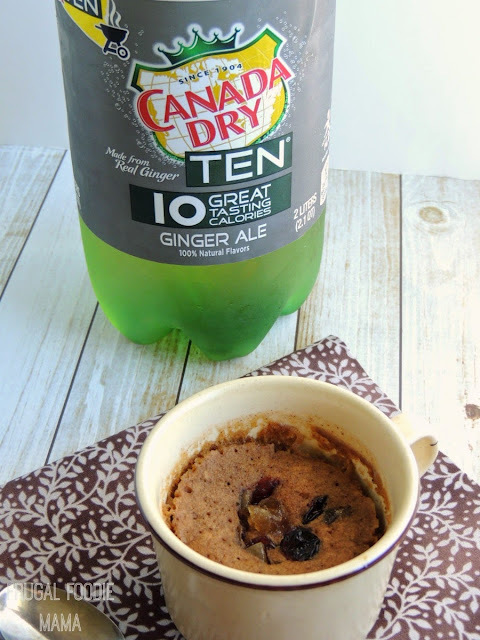 The Canada Dry TEN happens to be my favorite, and it dawned on me that I could totally use it to create a gingerbread inspired mug cake! 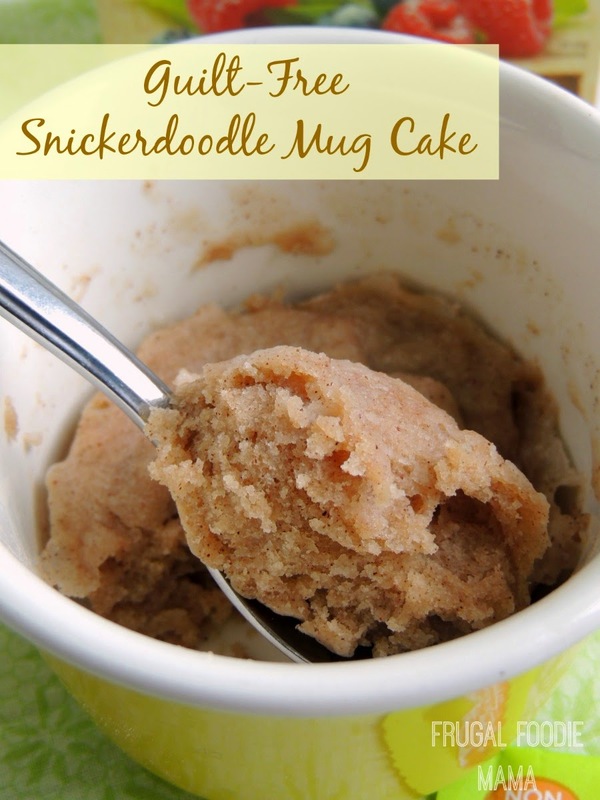 :) So, I replaced the milk in my standard base recipe for a mug cake with ginger ale. 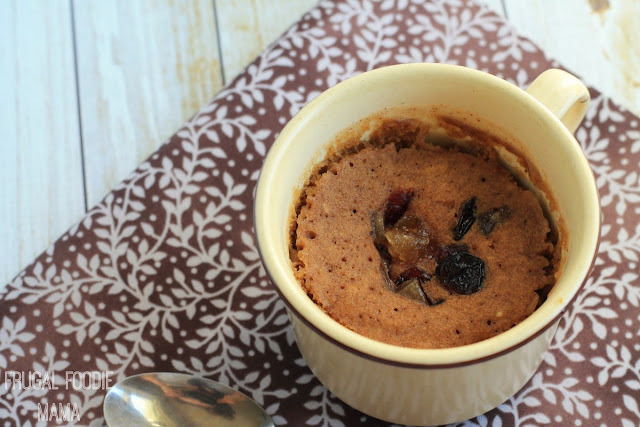 And that little swap also happens to make this little mug cake dairy free, friends.. 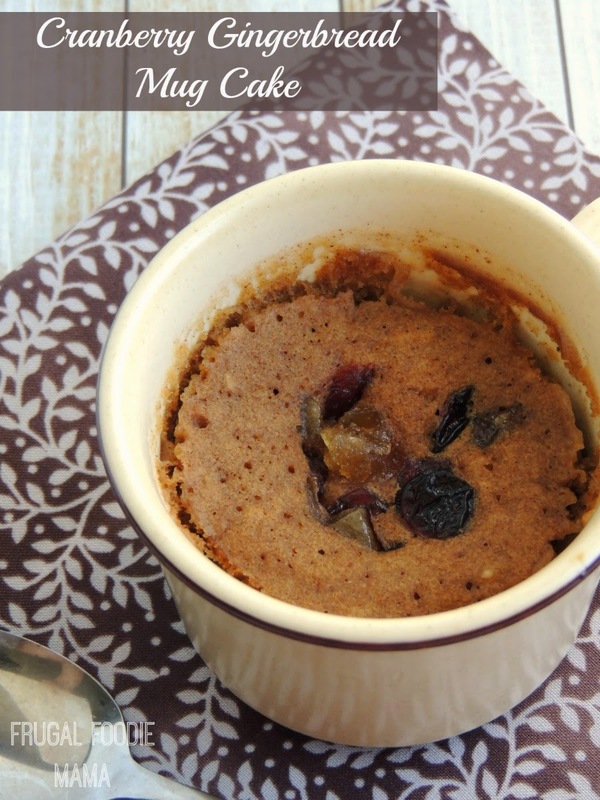 In a microwave safe mug, mix together the flour, baking powder, salt, cinnamon and ginger. Now pour in the molasses, coconut oil, and ginger ale. Mix well. 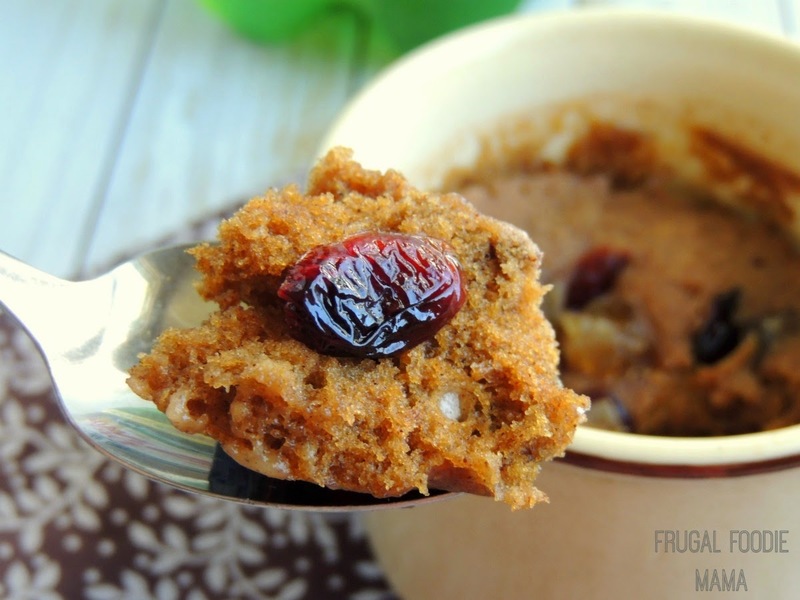 Fold in the dried cranberries, reserving a few to sprinkle over top. 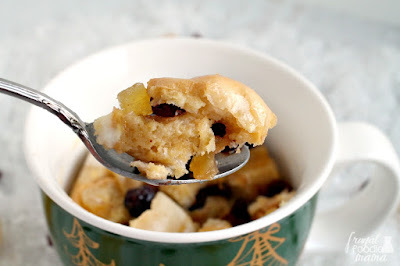 Top with a few pieces of crystallized ginger, if desired. Cook on High in your microwave for 1 minute. Allow the cake to cool for at least 1 minute before eating and then enjoy! And while I will be indulging in some of my holiday favorites this season, it is good to know that I have my favorite TEN sodas to help provide a little balance. You can find all your full flavor favorites with less calories- Canada Dry TEN, Dr Pepper TEN, 7Up TEN, A&W TEN, & Sunkist TEN- at your local Kroger store or Kroger affiliate.